We offer different carpet services to keep your home or office clean. We are certified to clean carpet, tile & grout upholstery cleaning and area rugs. We are your one stop shop in removing pet odor, pet stains and other tough stains that might be left in heavy traffic areas. We also offer carpet repair and carpet stretching services. Our customer in South Phoenix haven’t had the carpet cleaned in over a year. 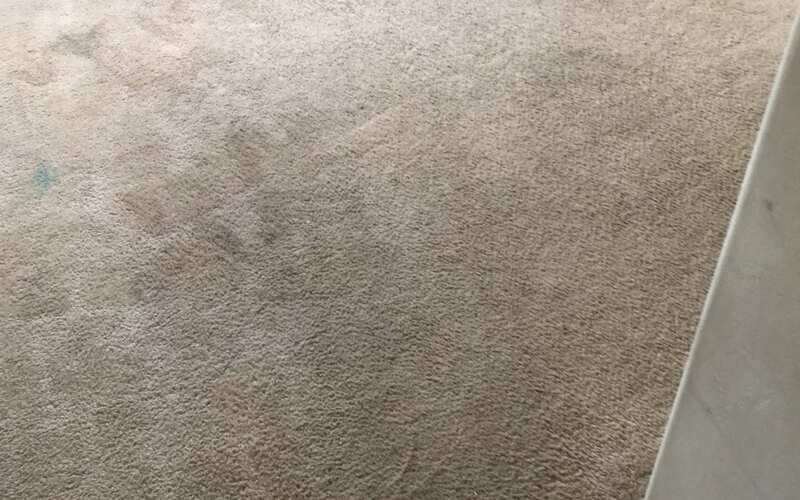 His carpet was very light, so every stain was very noticeable. There was so much foot traffic that the carpet was turning black in some areas. Check out the Before & After photos below. Call (480) 360-4430 for more information on our products and services!